Eldorado Casino is located in the middle of Henderson downtown. Boyd Gaming Corporation owned it after it was purchased by Bill Boyd and Sam Boyd in 1962. The guests of the casino commonly appreciate its outstanding employees that are famous due to their friendliness. The casino`s Mexican restaurant and its Cafe are always busy and full of clients as food there is delicious and cheap. For clients` tranquility Eldorado restaurants have a special parking garage for summer hot days. Probably, the main and only downside of this establishment is poor air and lack of smoking control. 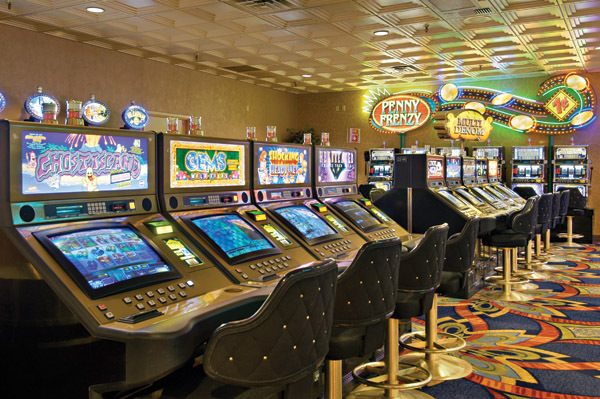 If you prefer to play at land based casino, the best choice for you will be Eldorado casino, where you will find everything which is necessary for gambling. Even if you visited a lot of different casinos, you will find this one more than attractive. There are 510 Gaming Machines inside of casino: Video Poker, Video Keno, 80 Quarter Slots, 115 Penny Slots, 42 Nickel Slots, 221 Multi-Denomination Slots, IGT Quarters Deluxe, IGT progressives as Wheel of Fortune which has the minimal bet of $0.25, 6 Half Dollar Slots, 44 Dollar Slots, CDS Top Dog, CDS Payout, Betty Boop's Hit and a lot other machines. You know that progressive machines give the possibility to win huge money! If you think that you are ready to have deal with millions of dollars – do not waste your time! Spin the button and get you winning! Do not forget to take your ID into the casino, as you can get the payments only after you show your ID to the casino workers. Of course, Eldorado Casino is not about slot machines only. Talking about other games we should mention 4 tables of Blackjack, 1 roulette table and one more table for craps. There are also 232 seats for bingo players, 3 seats for keno likers and 4 tables for poker fans. Each of the players will definitely find his or her place at Eldorado Casino!